It’s All in a Name … or Is It? I am in job search mode, and have decided to take the opportunity to transition into another field. It is a role I have performed in the past but not titled. Advised by professionals/experts in the field, that it is feasible. However, although my targeted resume has gotten to the hiring managers, and even some interviews, I do not get offers because I lack experience. How do I find the right balance? I don’t want to give up on this new dream! This is a situation many of my clients find themselves in. It’s a common misperception to think you have to have held a title in order to have success. Actually, this isn’t true. You just have to be smart about how you communicate your skills in your resume. Because a great resume will not only open doors – it will also remove the ‘not enough experience’ reservations people have about you. Head your resume: “EXPERIENCED MARKETING PROFESSIONAL” and write a sub-header like “10 years of marketing experience despite never holding a marketing title” or “I’ve been the untitled marketing manager at my current company for 10 years.” If you can find a way to inject some light humor into this sub-header – even better! Employers won’t miss the fact that you don’t have a marketing title, so you might as well address it right upfront and get it out of the way. As you write your job descriptions and accomplishment bullet points for each position, focus on marketing. Don’t write about accomplishments that have nothing to do with marketing, no matter how impressive they are. Reinforce your marketing expertise with every word you write. Of course, if our fictional job seeker needs to apply for executive assistant positions, she’ll need a completely different resume and that’s OK. Your goal is to show your readers how you are the perfect person to meet their needs. It’s important to note that these tips only work if you actually do have enough experience but the experience just isn’t clear to employers because of your job title. If you don’t have that experience, you’ll have to get it before you can convince anyone to hire you. The best way to do that is to step up and volunteer to help the marketing team in your current company. Take on as much as they can throw at you – it’s all fodder for your eventual getaway. 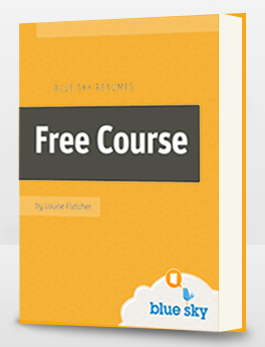 For more resume writing advice, check out my free resume writing course. No hassle. No spam.